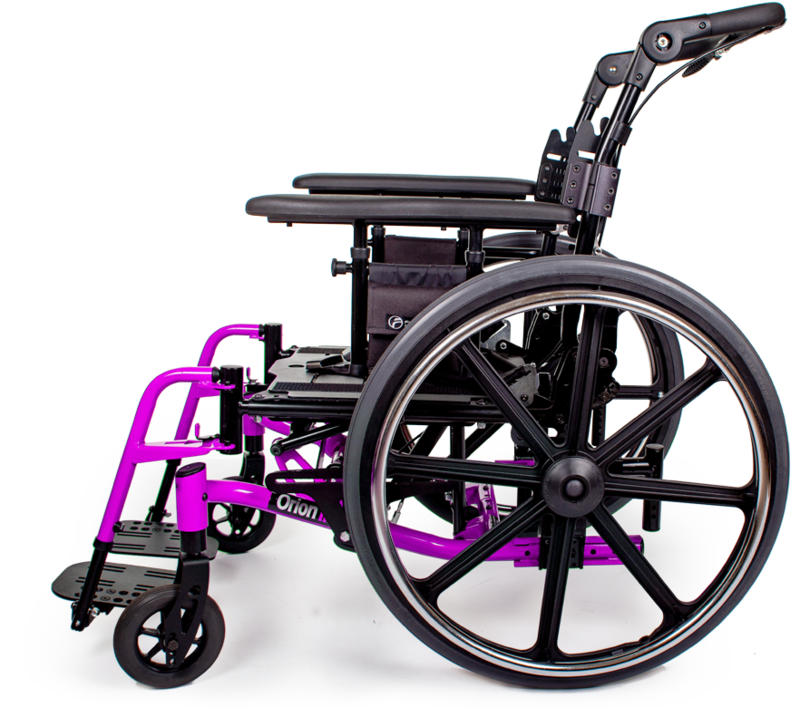 Inspired by our best seller, the Orion III tilt in-space wheelchair is the latest addition to our Orion family. With the successful history of the Orion II, we designed the most innovative, durable and affordable tilt-in-space on the market today. Offers functional mobility via hand or foot propulsion, making this sleek design the top choice for facility, fleet, or home use. 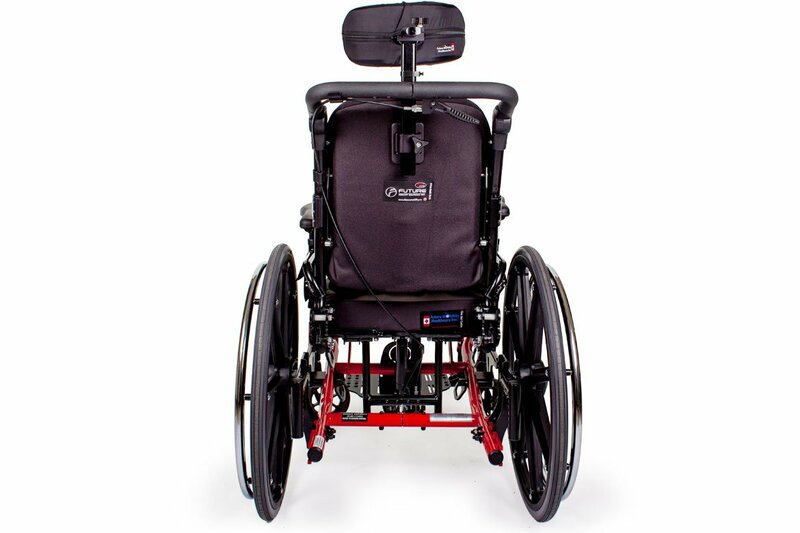 The Orion II helps to facilitate feeding and respiratory functions, reduces pressure beneath the client’s pelvis, and improves visual alignment by holding their head upright. 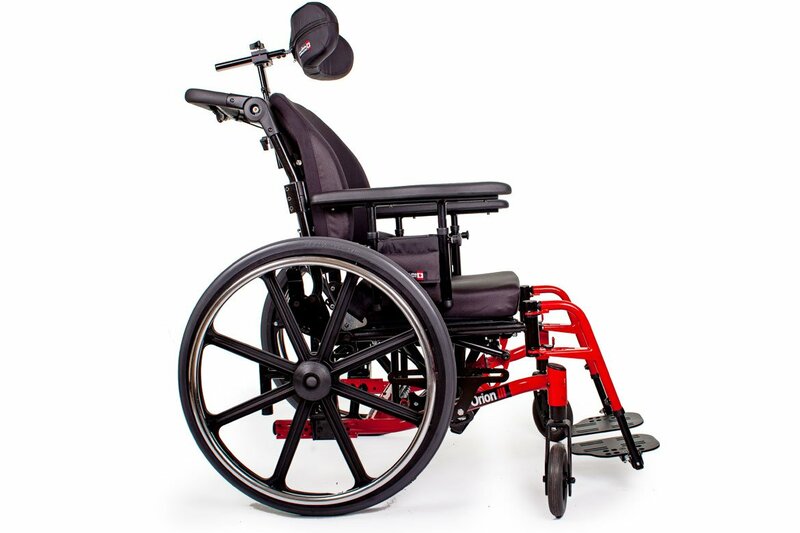 Our Tilt-in-space wheelchairs are designed for pressure relief and positioning. 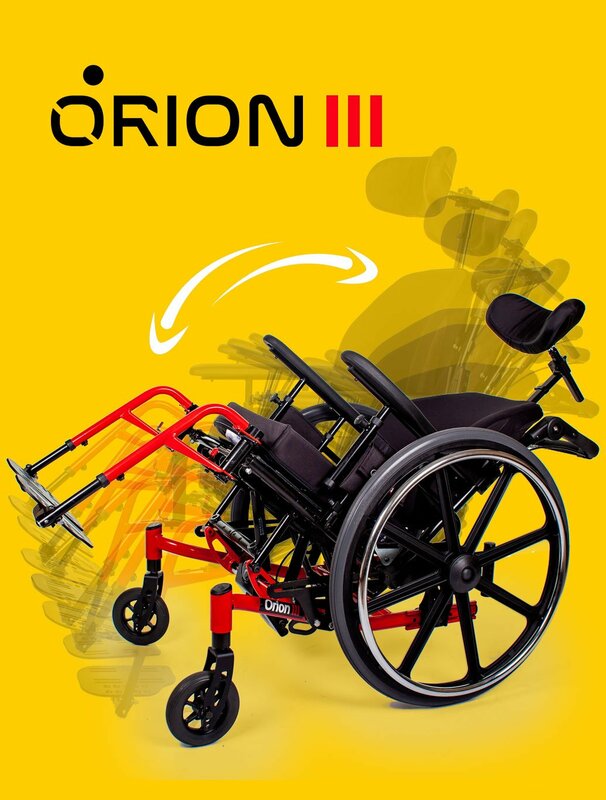 The Orion III wheelchair was developed for those individuals requiring adjustment ability to redistribute their body weight for optimal positioning purposes. 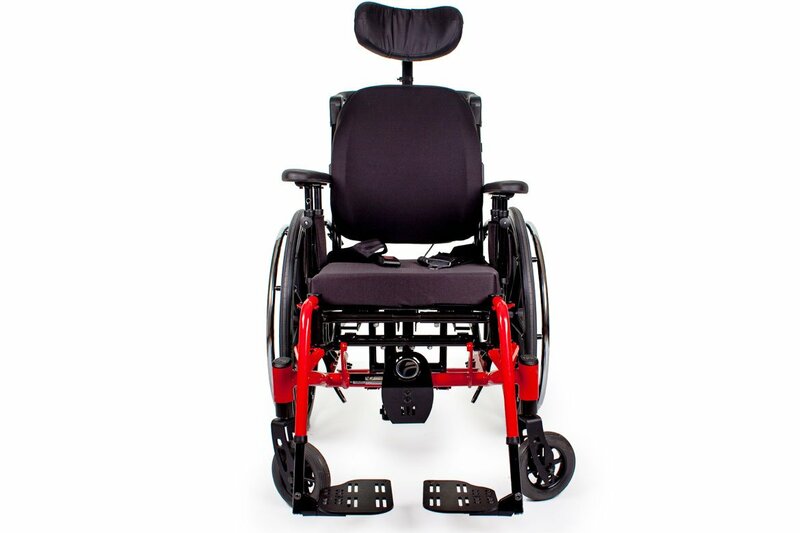 The Orion III offers 3 -to 45 degrees of tilt, optional -9, +33 degrees of infinite recline, a standard on-chair adjustable seating system, an incredible range of seat-to-floor heights, and a creative, streamlined design. Swingaway Front Riggings have the option of swing-out or dual swing-in and swing-out. Ideal when transporting and situating the client. 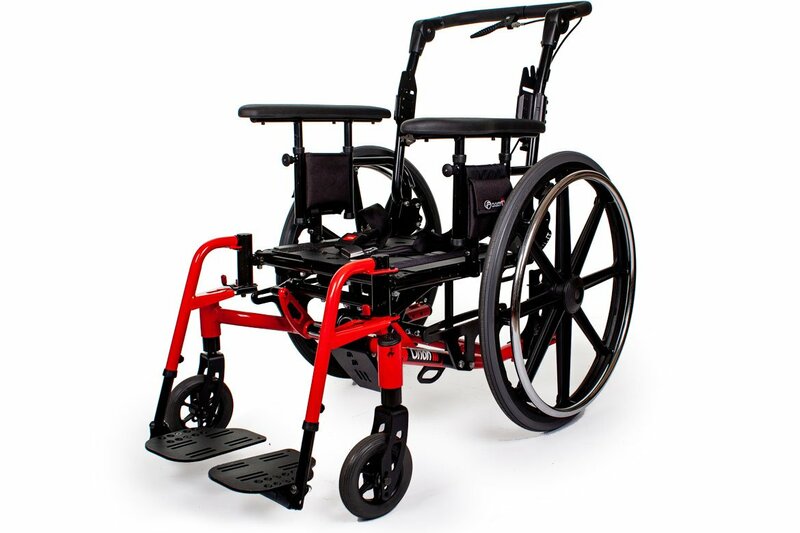 Dual cross gas cylinders to recline the wheelchair with ease. Dual Cross Gas Cylinders located underneath the chair allows for a gentle, slow tilt for the client. The Cylinders are, lockable at infinite angles. 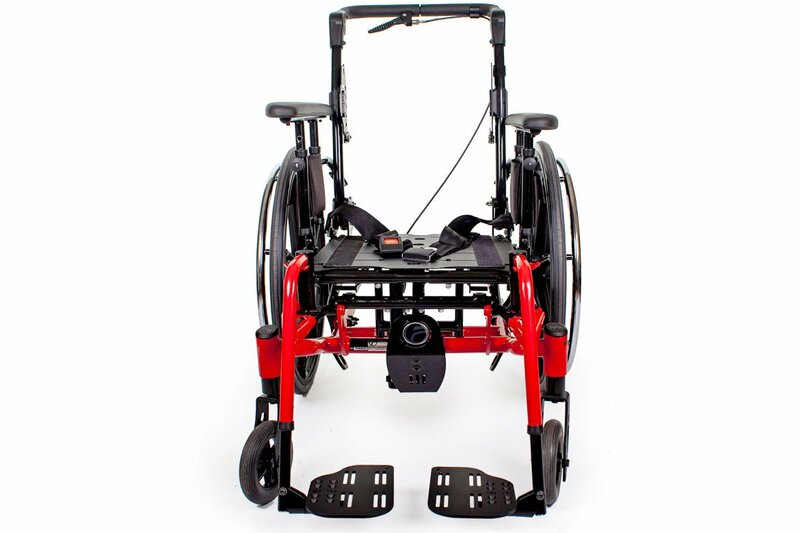 The Rear Axle mount can be adjusted for greater stability and movement. Attendant foot tilt allows the wheelchair attendant to easily tilt the wheelchair by pressing on the pedal to either tilt up or downwards. 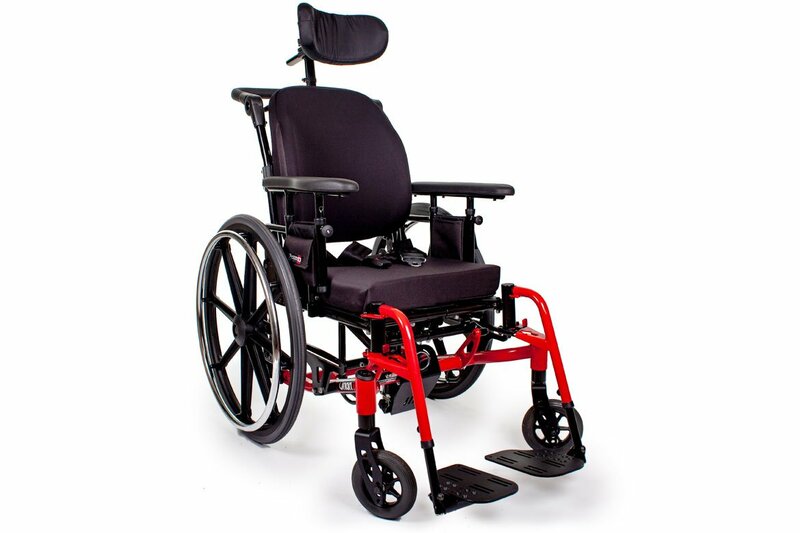 Offers a true 45 degrees of tilt for optimal positioning for the individual with an optional 30 degrees of recline. All base models of the Orion III are equipped with the trigger tilt system. 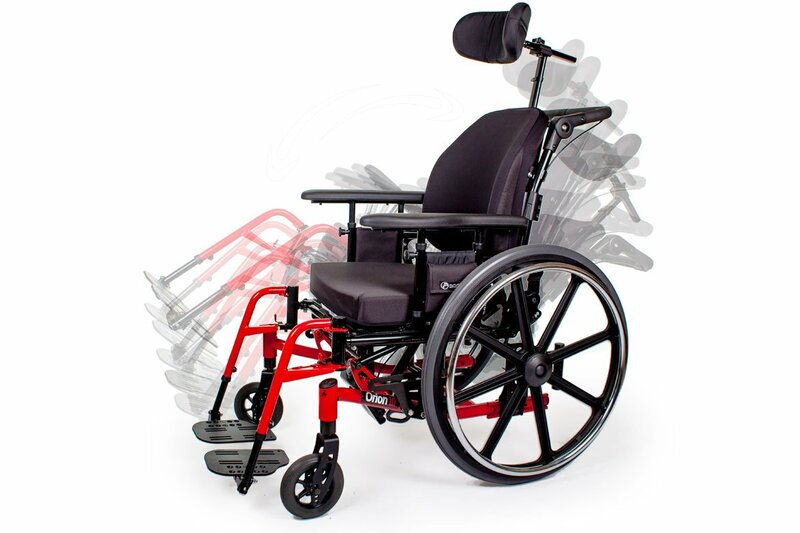 This allows attendants of the user to tilt the wheelchair easily. 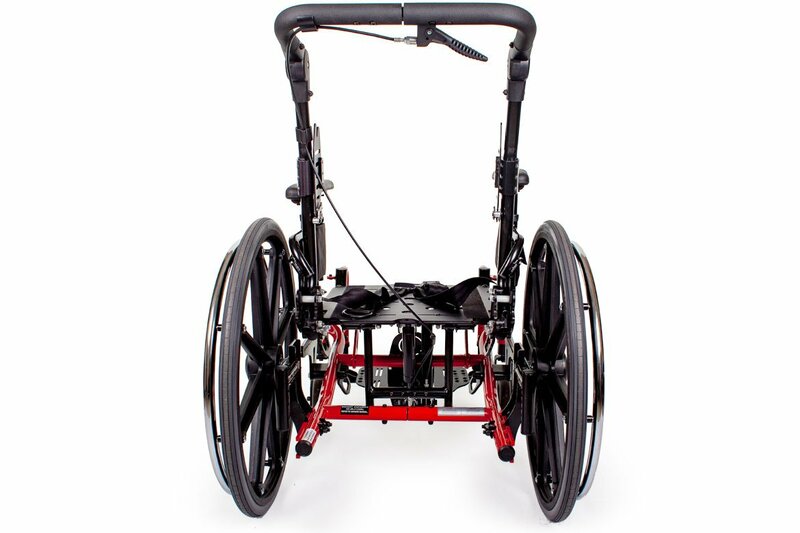 Larger front openings make it easy for wheelchair movement by foot. The frame grows as required without replacing any parts. 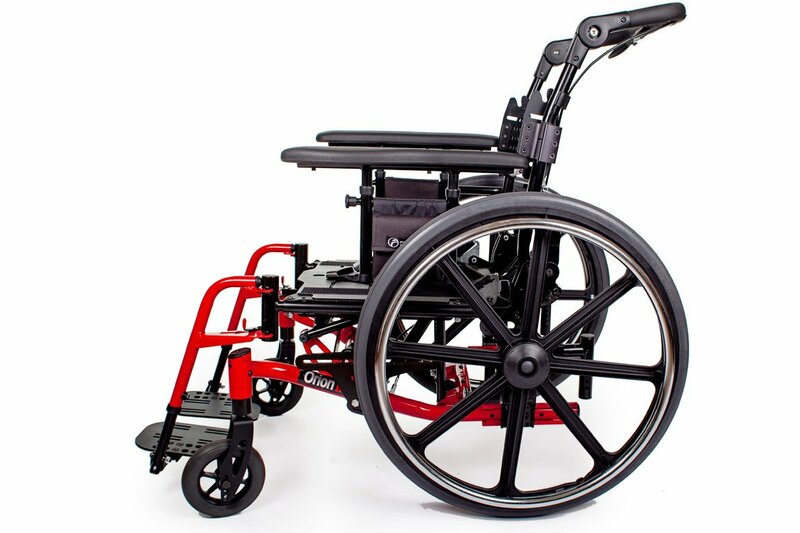 Up to 4” of width growth, and seat depth is growable up to 2” with each seat rail.